Is it ok to leave battery connected to charger? Sometimes i come late home and i need to be flying next morning. So i don't have time to wait for it to be charged. 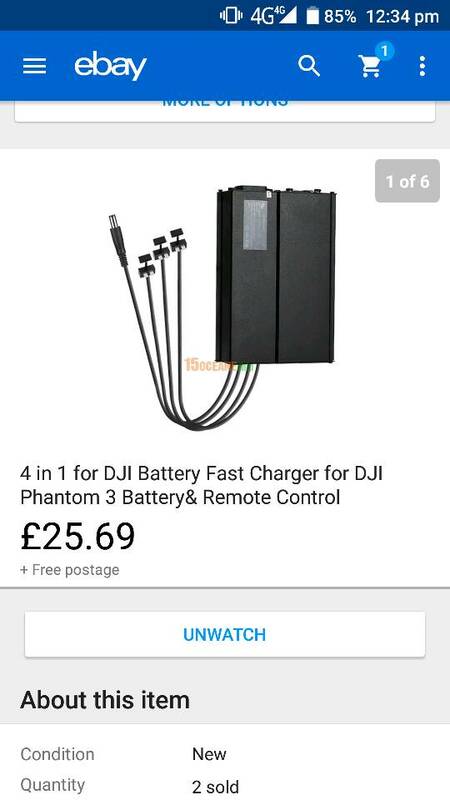 So leaving it to charge overnight wont do damage? Or it will? I don't think it's recommended to leave a lipo battery unattended while its charging. I know that's the case for other dumb Lipo batteries. Just be careful. Normally these intelligent batteries go off totally after charging but it's not recommended to leave them unattended. If you can't avoid it, buy lipo safe bags and charge them in them. If will give you a sense of higher safety. No need to attend to as it is not charging after it is charged. Good info about being unattended, however, using a battery bag during charging is beyond the scope of it's purpose and would provide ZERO protection from any issues. The bags are for transport or long time storage. Additionally, leaving a battery charging "unattended" is unfounded. When this smart battery is charged and terminates charging cycle while plugged in that's it, power from the charger is null, denied. You are right, absolutely right. Thanks to everyone for your answers and opinions. I think i figured out what i will do. I don't do it. I've accidently left them on the charger and they've been fine but to me, it's just not worth the possible risk. These batteries can be very dangerous. Although, there may not be many accidents, all it takes is the one that burns down my home or kills one of my loved ones. I've got a multicharger and can have 4 batteries charged in about an hour. By the time I wake up and have a cup or two of coffee, I'm ready to roll! Just my opinion, of course. +1 on the lipo charging bag. That's what I use when charging unattended. But wouldn't the charging wire also be on fire which will spread down the wire setting fire to everything else? I would guess it's possible. I would think the fire would be hot enough that it would probably de-solder the connection first. New P3A owner here. This morning I charged 1 battery until the lights went out. This took about 45min. Them I started charging the second and went out to the store and breakfast and returned home 1 1/2 hours later to find the battery blinking 4 lights indicating still charging. I thought this wasn't right. I unplugged the battery and then plugged it back in and the lights were out indicating full charge. The battery was bought from dji directly. I won't be leaving it unattended again. Most safety devices are never needed, until something goes wrong. I think there's too much paranoia about this, though it makes sense to try to charge in a saf(er) place such as a tiled area with nothing close by which could easily ignite. The charging process is not without risk but like any other battery once the cells are 'full' no more current can flow into them, so even if it didn't shut down I can't see anything untoward happening. Personally, I would not charge a battery inside one of those bags. The reason is heat build-up. Usually thats what happens when you disconnect the battery when its on 4 leds. Always wait until 4 leds go out. It takes around 1 hr and 20 minutes to fully charge the battery. In your case you could have done this after. Turned the battery on with double click as when you power up the drone. And connect it to charge. Then it will resume charging. Thats called topping off or topping up to make sure it gets to 100% and not 90%. Its better to wait for the initial charge to finish and lights go out themselves. You should ensure that bags have vents for hot air to escape. I have also not used bags for charging as I always charge in an quite empty space and never leave them on charge for very long unattended. Usually nothing bad happens but precautions are needed to avoid the worst. As the batteries get older, though you feel more confident as nothing has happened so far but you should know batteries are becoming bad use by use as they lose charge holding capacity.